Dr Guillaume Canaud at the Necker-Enfants Malades Hospital – AP-HP, the Paris Descartes University, Inserm (INEM Institute Necker Enfants Malades – Centre for Molecular Medicine) and his team recently demonstrated the efficacy of a novel medication, a specific inhibitor called BYL719, in a cohort of 19 patients treated at the Necker-Enfants Malades Hospital – AP-HP and suffering from CLOVES Syndrome (Congenital Lipomatous Overgrowth, Vascular Malformation, Epidermal Naevi) or similar disorders. This medication is currently undergoing therapeutic oncology trials (phase I/II). No significant side effects have been observed 18 months after commencement of treatment. This study, published in the journal Nature, is an example of precision medicine and demonstrates the major benefits of this therapeutic strategy for these patients, who have seen their health and quality of life improve significantly. Patients suffering from CLOVES Syndrome (Congenital Lipomatous Overgrowth, Vascular Malformation, Epidermal Naevi) or similar disorders have major deformities and vascular masses due to mutations of a gene called PIK3CA. This gene regulates cell proliferation and growth. When overly activated, it causes the excessive growth of those parts of the body affected by the mutation. 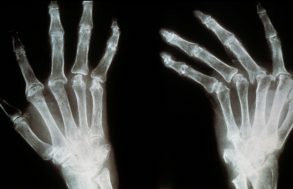 Accordingly, patients present with symptoms that vary greatly depending on the number of tissues affected, which may range from isolated macrodactyly (enlarged fingers or toes to very severe forms affecting the entire body such as CLOVES syndrome. The most serious forms involve the overgrowth of fatty tissue, vascular malformations, scoliosis, skeletal anomalies such as major bone enlargement and the deformity of organs such as the brain or kidneys. Until now, no curative treatment has been available for those patients for whom the syndrome is potentially life-threatening in the short-to-medium-term and for whom the only therapeutic options have been symptomatic treatments. In the most severe cases patients undergo embolization procedures or mutilating surgery. Finally, it is important to note that these syndromes are frequently associated with chronic pain and have major repercussions on a patient’s quality of life and social life. The PIK3CA gene frequently mutates in several cancers (particularly breast and colon cancers) and is a therapeutic target for the pharmaceutical industry. PIK3CA mutations in cancers are the same as those found in patients suffering from CLOVES syndrome and similar disorders. 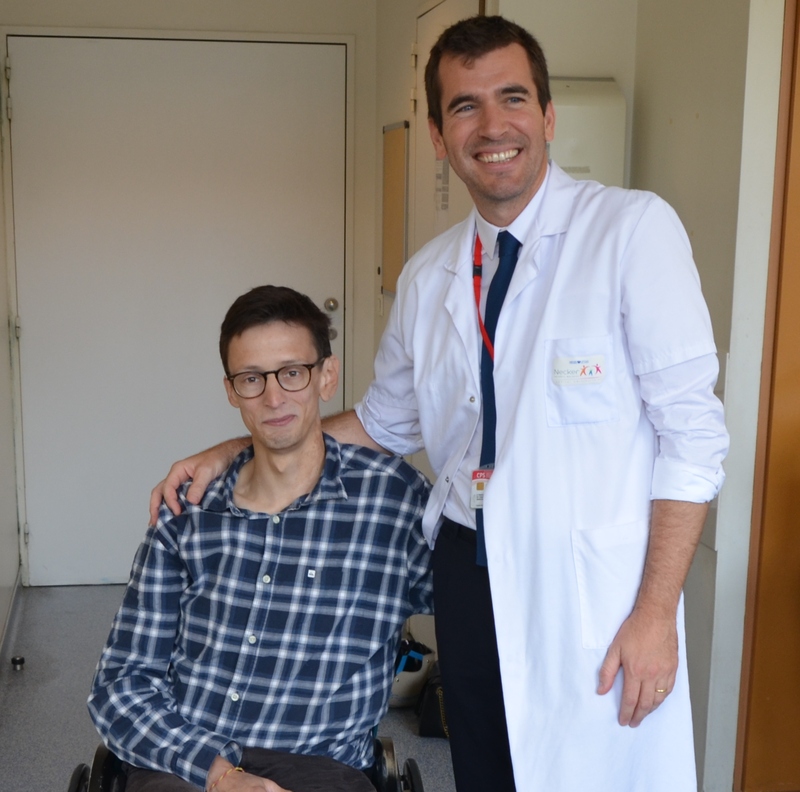 At the end of 2015, a 29-year-old patient with a CLOVES syndrome was referred to Dr. Guillaume Canaud, a specialist of the PIK3CA pathway. This patient had a very advanced and life-threatening form of CLOVES syndrome and for whom no surgery or radiological embolization could be proposed. Dr. Guillaume Canaud then approached the Novartis laboratory working in the field of oncology on a specific inhibitor of the PIK3CA gene called BYL719. This medication is currently undergoing therapeutic oncology trials (phase I/II). In January 2016, having obtained the authorisation of the ANSM (French National Agency for Medicines and Health Products Safety) to use this experimental treatment, Dr. Guillaume Canaud administered the treatment on this first patient. Very quickly, a positive effect was observed on all symptoms. In particular, a significant decrease was observed in the size of vascular masses and overgrowths from which the patient suffered and a major improvement was seen in his quality of life. Eighteen months later, this first patient had experienced only one side effect, hyperglycaemia, which was well controlled by diet. 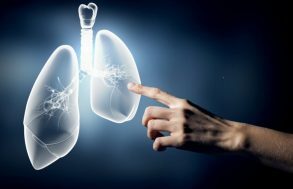 At the same time, in order to better understand this disease and the mechanism of action of the medication, Dr Canaud and his research team within the INEM-Inserm Unit U1151) created the first mouse (murine) model that recapitulates all the lesions observed in patients with CLOVES syndrome. The mice were treated with the medication BYL719 and here too a major and rapid improvement in their health was observed. On the basis of these results, in June 2016, Dr. Canaud quickly gathered a working group composed of ten medical and surgical specialisations to care for patients suffering from CLOVES Syndrome or similar syndromes at the Necker – Enfants Malades Hospital – AP-HP. The idea behind the group was to provide better care for patients. During the summer of 2016, a 9-year old girl suffering from a serious form of CLOVES Syndrome with a life-threatening vascular mass for which no surgical intervention or embolization was possible, received this experimental treatment. Once again, BYL719 had a spectacular effect on all symptoms, deformities and the vascular mass. It is important to note that no side effects were observed in this first child, the first in the world to receive this treatment, and that her growth was not affected during the 12 months of treatment. In February 2017, on the basis of these results, Dr. Canaud and his group were authorized by the ANSM to administer the BYL719 to17 additional patients (14 children and 3 adults with ages ranging from 4 to 50 years) followed at Necker hospital, who had life-threatening complications and/or were scheduled for debulking surgery. Very quickly after treatment initiation, they observed a spectacular improvement in their general health of all patients. All patients had a rapid reduction in the size and volume of vascular tumours, but also the enlarged veins and abnormal limbs, they also noticed an improvement in the skin appearance a decrease in fatigue. Moreover, an improvement in scoliosis was observed in all patients. Patients were accordingly able to return to physical activity, stop morphine-based treatment, go back to school, etc. After six months of treatment, these 17 patients are still alive and have not undergone any surgical interventions. Minor side effects, such as mouth ulcers, were observed in three patients. These 19 patients continue to receive BYL719 daily. This study, the protocol for which was approved by the French National Agency for Medicines and Health Products Safety (ANSM), demonstrates the efficacy of this therapeutic approach. This work has led to a patent registration application being submitted by Inserm Transfert for AP-HP, Paris Descartes University and Inserm.